Shahid N. Shah is an internationally recognized and influential healthcare IT thought leader who is known as “The Healthcare IT Guy” across the Internet. He is a technology strategy consultant to many federal agencies and winner of Federal Computer Week’s coveted “Fed 100″ award given to IT experts that have made a big impact in the government. 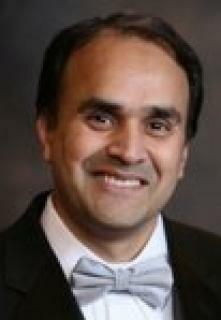 Shahid has architected and built multiple clinical solutions over his almost 19 year career. He helped design and deploy the American Red Cross’s electronic health record solution across thousands of sites; he’s built several web-based EMRs now in use by hundreds of physicians; he’s designed large groupware and collaboration sites in use by thousands; and, as an ex-CTO for a billion dollar division of CardinalHealth he helped design advanced clinical interfaces for medical devices and hospitals. Shahid also serves as a senior technology strategy advisor to NIH’s and TATRC’s SBIR/STTR program hel ping small businesses commercialize their healthcare applications.